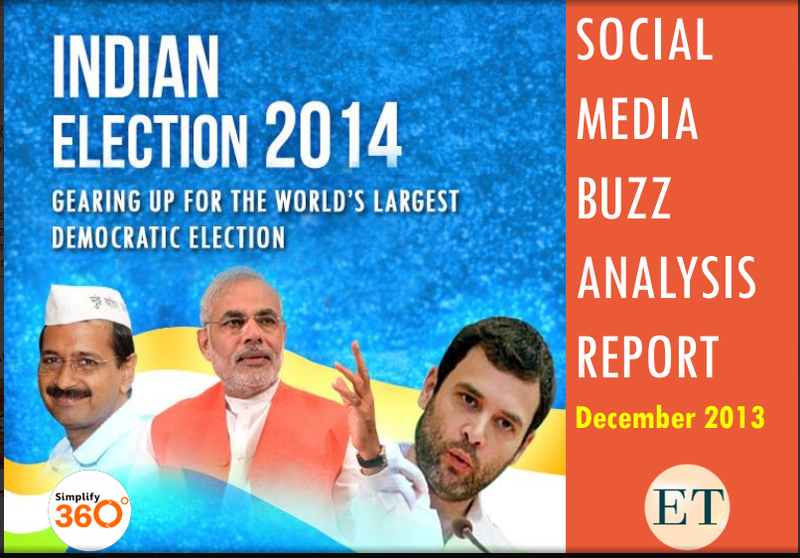 Once again Simplify 360 has come up with an interesting analysis in a report – “Indian Election 2014, Social Media Buzz Analysis Report”. The report analyses and ranks top politicians and political parties based upon the social media buzz and Simplify 360 Social Index. It also analyses the social media buzz around political parties and leaders before and after the Delhi Election. Delhi Elections have energized many people to talk about elections in general and social media has emerged as the best platform to share their opinions. There was a five-fold increase in buzz in social media for Kejriwal after Delhi election win. Another crucial analysis is the presence of 24% of Indian voters on social media which is a key factor in determining the poll results because 2.6 crore Indians read tweets related to elections and 31% of Twitter users in India have actually read tweets on Politics. Besides, peer recommendations on social media are very powerful and discussions on elections are selling like hot cake.